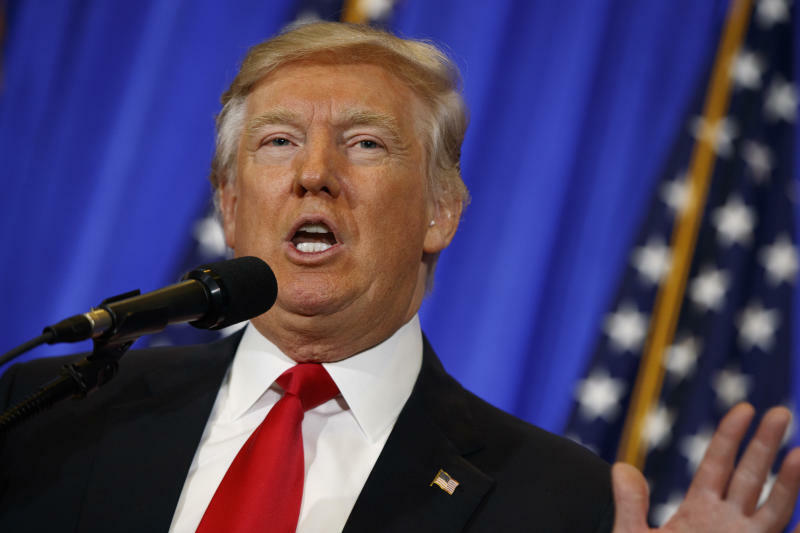 'Profound threat' to human rights in 2017, Human Rights Watch says. CANBERRA -- The post-World War II human rights system is at "profound" risk, according to the latest damning Human Rights Watch report. And while Australia has come in for strong criticism, particularly over the treatment of asylum seekers and children, there are warnings about a "profound threat" to human rights with Donald Trump's election in the United States and the rise of populist leaders in Europe with open contempt for universal human rights. The Human Rights Watch has listed Trump as a "profound threat" to our current system of human rights. In a damning 687-page World Report released Friday, the human rights organisation has repeated a near annual criticism of Australia's "repressive" counter-terrorism laws and the "draconian" and "abusive" treatment of asylum seekers and refugees. There's also added concern about control orders now applying to child terror suspects as young as 14, and the use of tear gas, hoods and other "horrific treatment" of child detainees in youth detention centres. 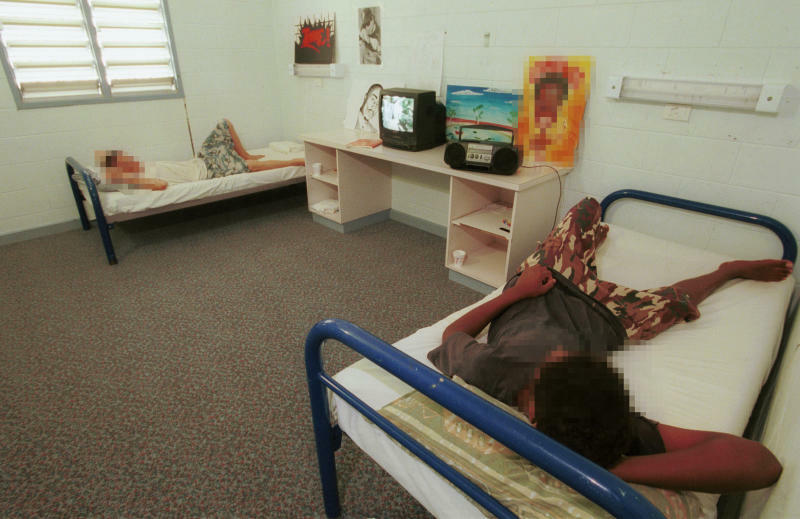 "Australia has a duty to protect the most vulnerable and I think it is failing in that duty, across the board," Elaine Pearson, Human Rights Watch's Australia director, told the Huffington Post Australia. "A lot of countries are really concerned about Australia's human rights reputation and the way in which it is failing to protect vulnerable groups including children." Human Rights Watch ramped up its criticism of Australia's offshore asylum seeker processing on Manus Island and Nauru, describing it as "unlawful," "draconian" and "harmful," while it said a yet-to-be-completed, and shaky looking, one-off deal with the U.S. Government to take refugees offered "no solution to the systematic problems with offshore processing". "Yes we did see certain promises that were made in 2016," Pearson said. "The promise to close the Manus detention centre, a statement there will be an agreement to send vulnerable groups to the United States." "But we have not seen any actual action from the government." 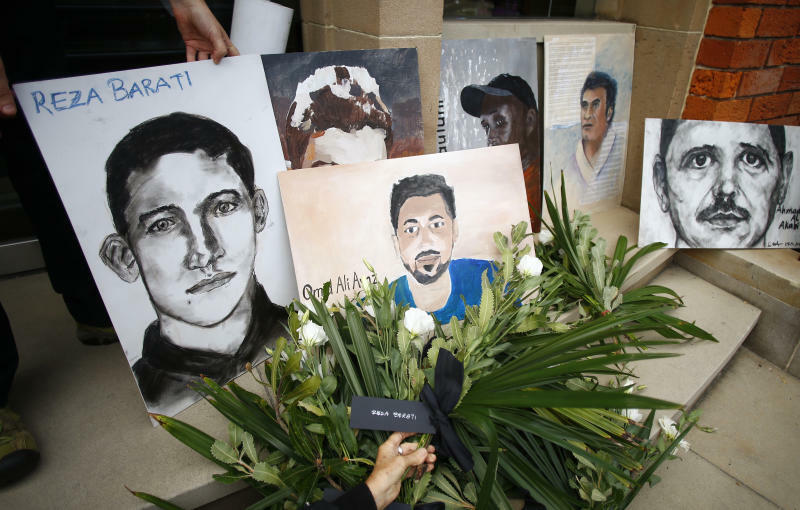 A picture of Reza Barati, who was killed in Manus Island, and other people who died in Australian immigration detention centres. "The people on Manus and Nauru don't have more time to wait. They have already been there for three years in these horrible conditions." Regardless, Pearson is aware her organisation's annual criticism may very well fall on deaf ears. "The government is not listening to criticisms on human rights," she told HuffPost Australia. "I think the government is stubbornly refusing to acknowledge the abuses that are happening in Nauru and Manus and that is despite the fact throughout last year we had countless UN agencies and independent experts all criticising Australia about the human impact of offshore detention policies." But she proposes a change of heart. 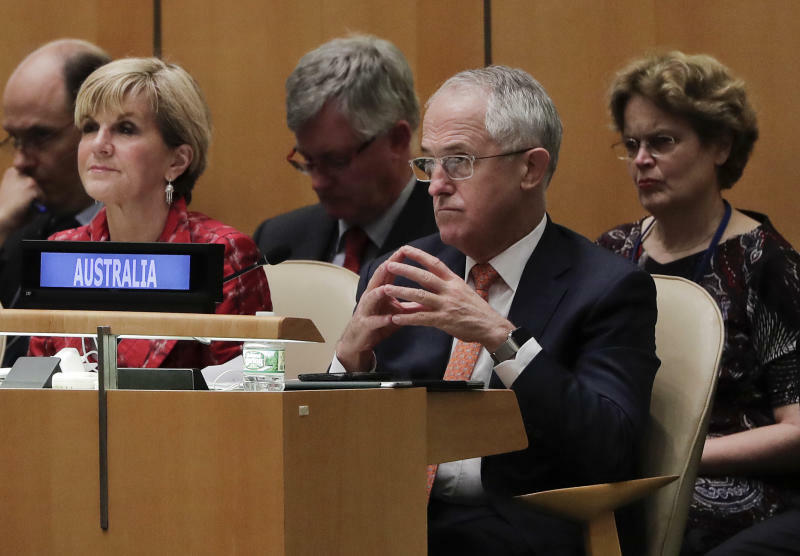 Foreign Minister Julie Bishop and Prime Minister Malcolm Turnbull listens during the 71st session of the United Nations General Assembly. "It's looking to get a seat on the U.N.'s premier human rights body, the Human Rights Council in 2018," she recalls. "As part of that, members of the Human Right Council do need to show that they are upholding human rights standards under international treaties." "Clearly it has some work to do." The Human Rights Watch "world report" also takes aim at the incoming Trump Administration and nationalistic leaders in Europe, warning that demagogues who reject universal rights are risking the post-World War II human rights system. 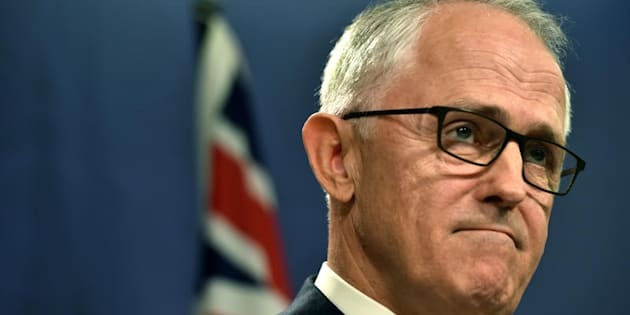 "Throughout 2016 we have seen the rise of these populist leaders who display an open contempt for human rights," Pearson told HuffPost Australia. "And that is really dangerous." "It is almost like people have forgotten the horrors and the atrocities of World War II and that is what led to the setting up of this international system, whereby governments are committed to protecting basic human rights." Human Rights Watch is also concerned about crackdowns on dissidents under strongman leaders in Russia, Turkey, the Philippines and China. "In 2017, what we hope to see is a reaffirmation of human rights values and that really needs to come from people," she said. 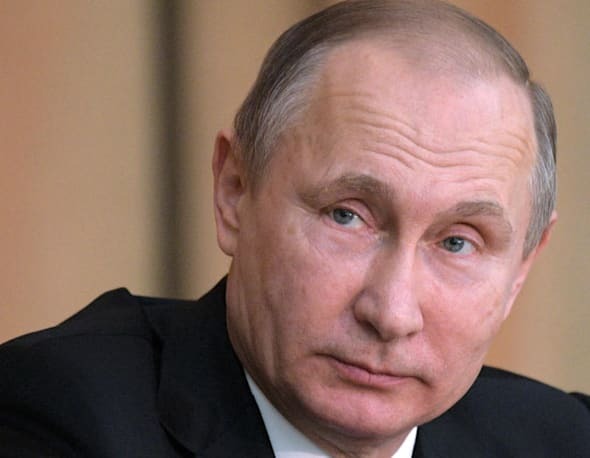 "We will be watching closely to what happens in the European elections. So it is really up to voters to decide what kind of future they want."